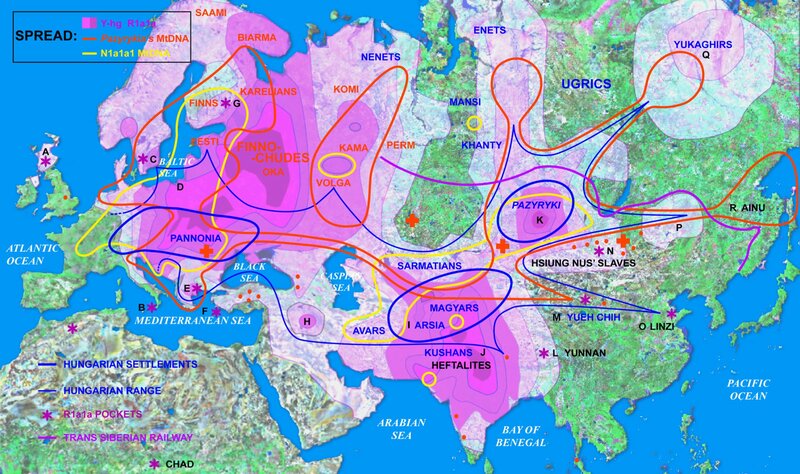 Wherever I found Hungarian cultural markers (“Honfoglalás…“) and archaeological markers (“The Magyar art…”), there R1a1a has been found by genetics! “Genetics and the Aryan debate” , Michel Danino, Indian Archaeological Society, New Delhi: The Aryans left no genetic, archaeological, anthropological, cultural… Genetics is joining other disciplines in helping to clean the cobwebs of colonial historiography. R1a/M17 cannot be a marker of a ‘male Aryan invasion’ of India.